We are very excited to be launching the Roos & Shine podcast! Join us, two Swedish sisters, for a pep talk. We want each episode to leave you with the feeling of having had coffee with that friend of yours who effortlessly combines coaching and friendship. This is a podcast for women on the go. Different to some other lovely podcasts we listen to, our podcast is designed to fit into your commute, and each episode is short and sweet. They combine storytelling with concrete tips, and often end with a downloadable pep sheet for all fellow list lovers. 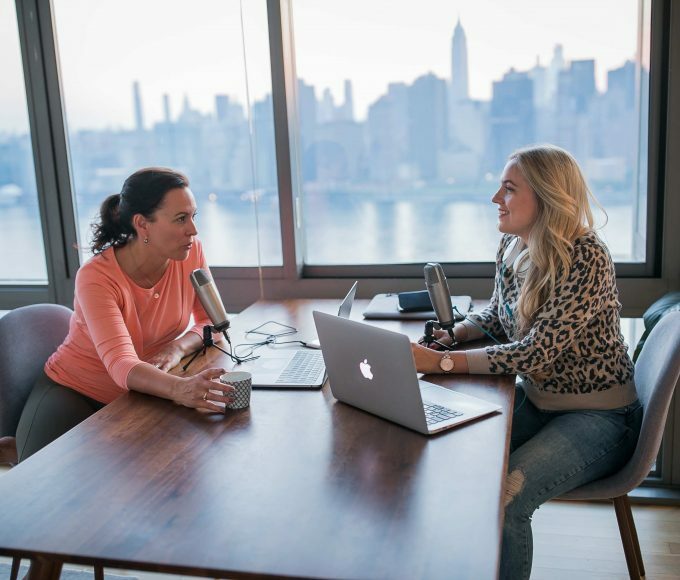 Recording from Stockholm and New York, we share experiences from our global lives and careers in Dubai, Yangon, Paris, Bogota and more. We explore topics such as career and courage; finding your perfect work/life blend, sisterhood; how to boost your network; gratefulness, health, travel and global living. Some episodes will include interviews with inspirational people. Our first episodes, “Getting Ready for the Fall” and “Career and Courage” are already available on our website and itunes, and will help you to get into the right frame of mind for a busy fall! Thank you so much for subscribing here and for sharing this news with anyone who might need a little autumn inspiration! Congratulations to these beautiful two sisters! Cannot wait to listen to Roos&Shine! Congratulations guys, this is fantastic!